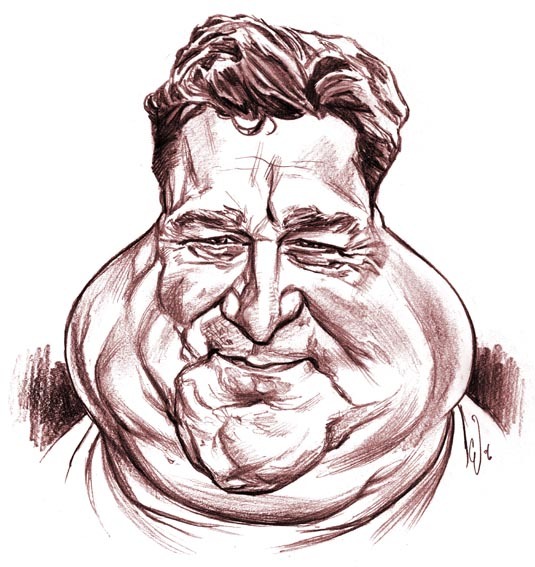 Yet another caricature, this time of actor John Goodman. Once again from over at the Drawing Board Jam. I had heaps of fun drawing all the wrinkles and skin folds on this one. For those of you interested, here are my many failures, false starts and warmup sketches before I reached the final version. Cool! The middle one on the right side (of the "duds") would've been a good final, too. Yeah, even your failures are awesome. I love seeing the progression of work from an idea to the final product. It's also encouraging to know that even a pro like yourself doesn't hit the nail on the head every time pencil touches paper. Though, every one of those "failures" puts my work to shame, hehe. Oh, and thanks for stopping by my blog and commenting! I nearly crapped my pants when I saw your name. I really appreciate everyone that takes the time to check out my underwhelming work. now this is what I was looking from you, your warm up sketches, but I wouldn't consider them failures. 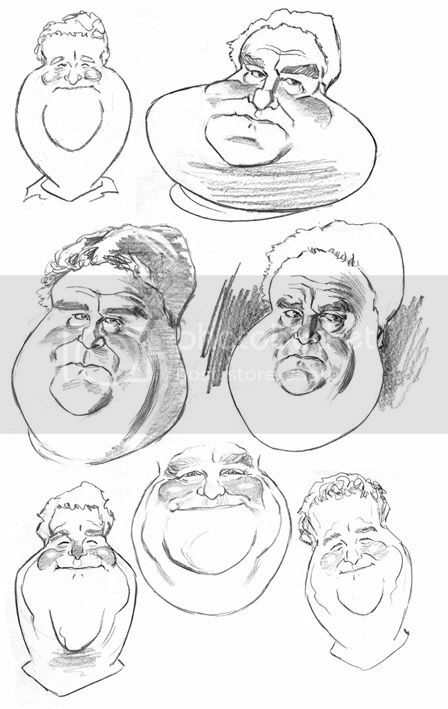 funny thing is the top left one, looks very similar to my first sketch of him. good one Chris! I admire your drawings, and thank you for show the "failures, false starts and warmup sketches". In my opinion those sketches are the most interesting. I have a blog called "diburtimentos", (in spanish: divertimentos + dibujo)with that kind of sketches. I was thinking every time you sat down to do a piece it always comes along perfectly on the first attempt. Thanks for posting your prelim sketches..gives me hope that I could possibly end up with an acceptable piece if I keep working at it. Excellent job and likeness on the finished piece! 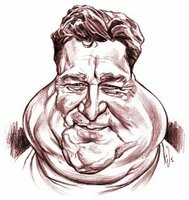 Great caricatures. You have a very cool style.